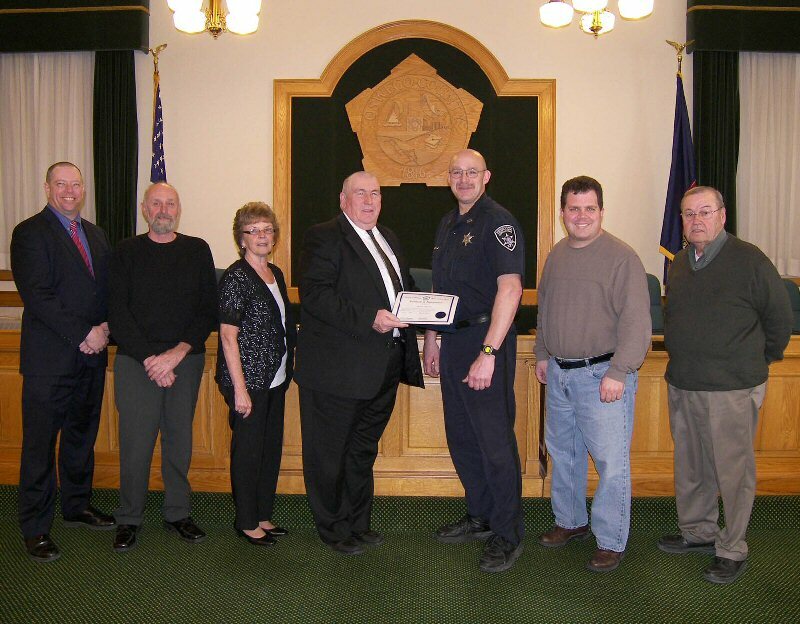 OSWEGO, NY – The Oswego County Legislature’s Public Safety and Emergency Services Committee presented Mark Downing with a certificate of appreciation for his 10 years of service. Downing is a corrections officer with the Oswego County Sheriff’s Office. Pictured from left are Oswego County Undersheriff Eugene Sullivan, III; David Holst, District 4; committee chairwoman Linda Lockwood, District 11; Oswego County Sheriff Reuel Todd; Officer Downing; Daniel Farfaglia, District 24; and committee vice chairman Robert Hayes, Sr., District 10.